​As if this night could get anymore embarrassing for the Jacksonville Jaguars, Jalen Ramsey has entered the fray. 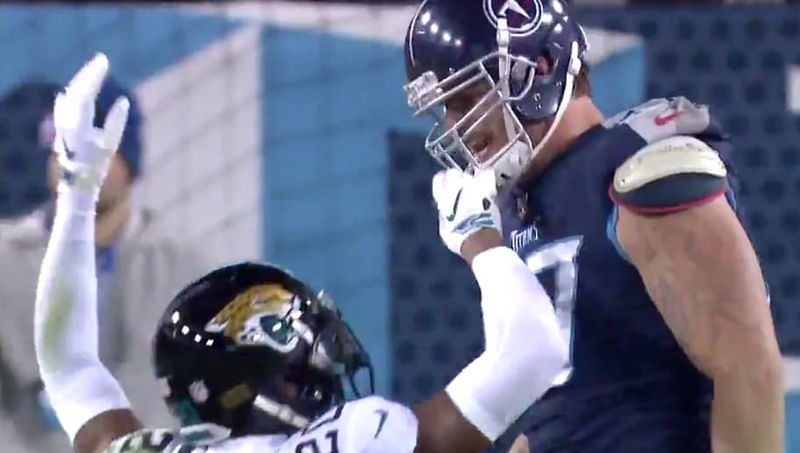 Ramsey tried to draw a flag on a Titans offensive lineman but failed miserably. Instead of a personal foul call, all ​Ramsey gets is torched on social media. Flop of the year, and we mean it. That's NBA quality, someone get LeBron James on the phone. Ramsey is a bit of a diva off the field but remains arguably the most talented defensive back on the gridiron. ​The Jaguars season has to be frustrating to Ramsey, who spent most the offseason hyping himself up by calling out every QB in the league. The Jags stars appear entirely frustrated, with Leonard Fournette equally as concerned with the effort of his offensive line. It's been a long season in Jacksonville. Mercifully, it's almost over.